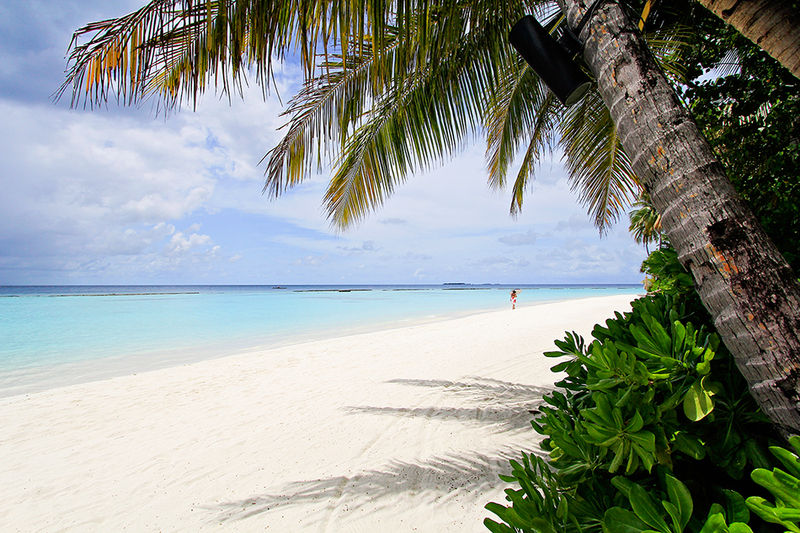 The Maldives is known for its whiter-than-white sand beaches, luxurious resorts, and its “underwater garden” for snorkellers and divers. 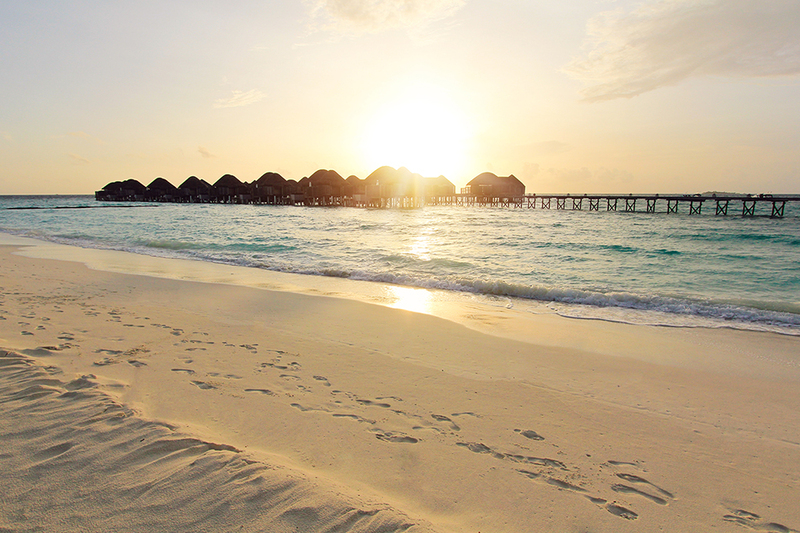 Despite being the smallest and most dispersed Asian country, the Maldives attract over a million people per year to its beaches – named as some of the best on the planet. 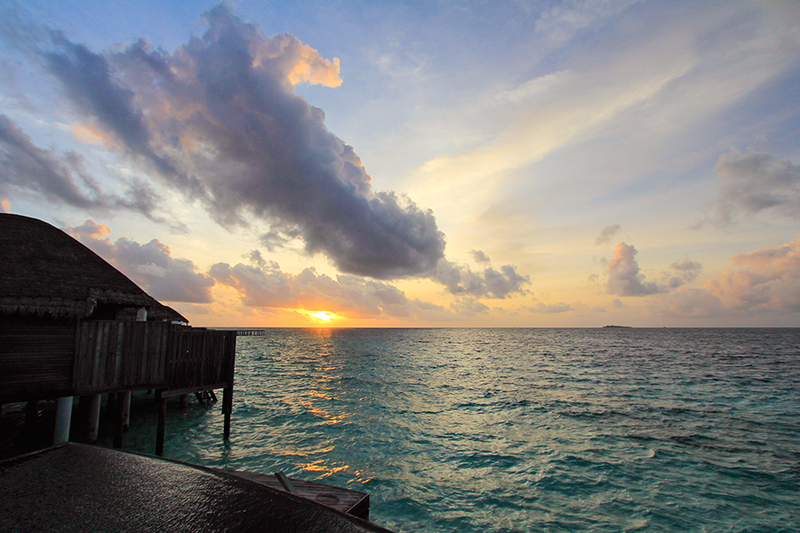 The Maldives is also the lowest nation in the world, with an average elevation of 1.5 m above sea level. Sadly, this means the whole country is almost certainly going to be underwater in the future with our rising sea levels. Or it could just be taken out by a large wave. Either way, we decided to visit this gem on our honeymoon before it’s too late! 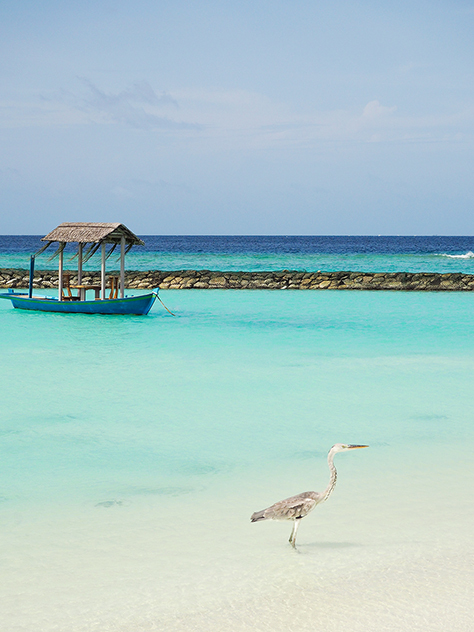 Getting around the numerous tiny islands of the Maldives almost always requires the use of a seaplane. 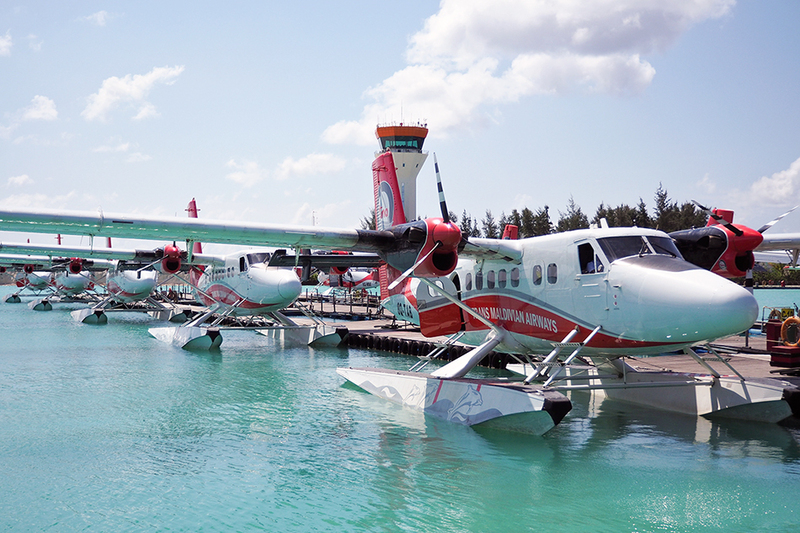 These tiny planes are a treat, giving you a birds eye view of the islands, reefs and lagoons as you fly by. It almost feels like a free sightseeing tour. This was our first time on a seaplane and we weren’t sure what to expect. We sat in a little shanty cabin over the water (the “gate”), and then after having our boarding passes checked we walked out onto the dock. The dock had numerous side branches where seaplanes were parked. 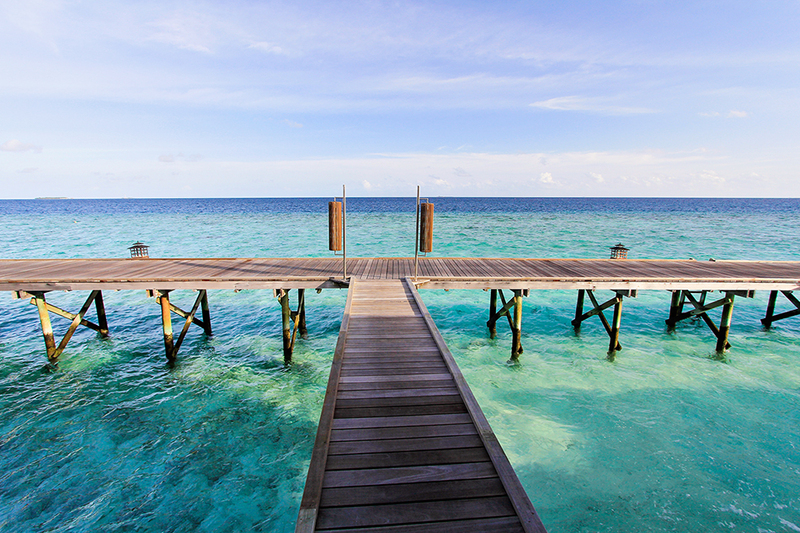 Just like an airport, but in the water! Once we walked up to our plane we were greeted by our pilot, who was wearing a t-shirt, shorts, and no shoes. We climbed aboard with the pilot, and from the cockpit he turned around to give us a quick safety briefing. Not much was said, other than informing us our safety cards are best used to fan ourselves in the heat. 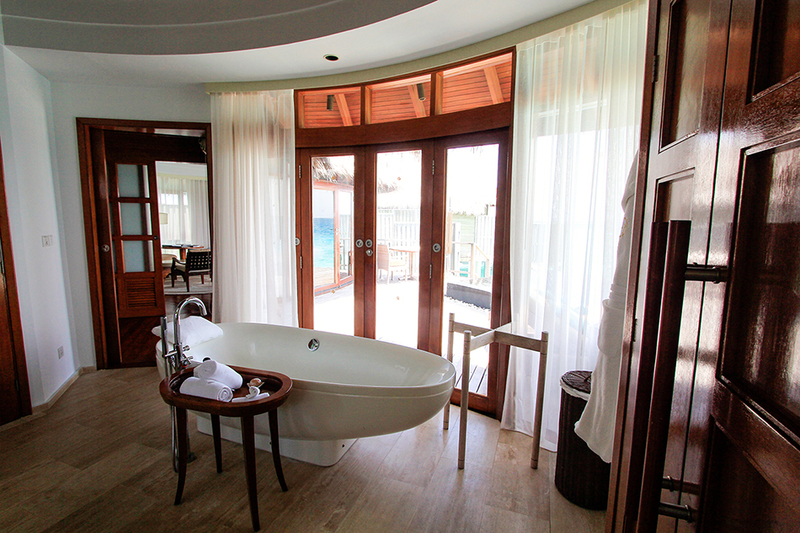 Given that we were on our honeymoon, we wanted a place to escape where it could feel like it was just the two of us. 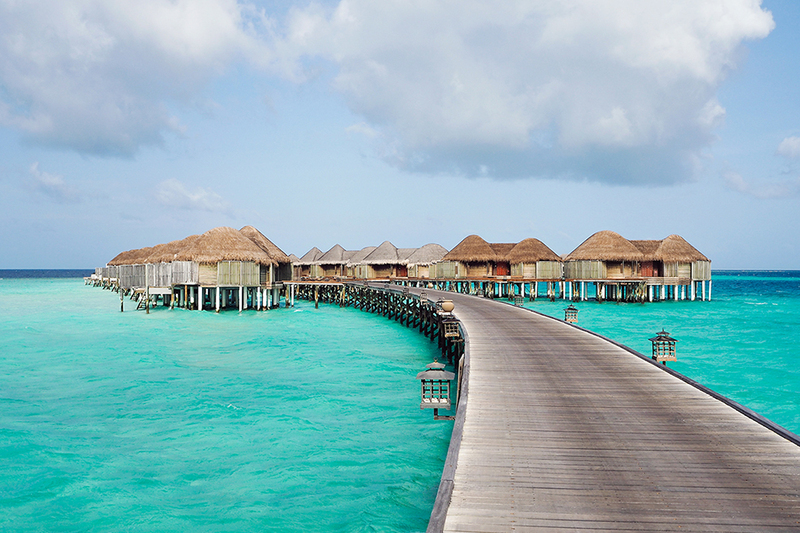 The Maldives provided just that, with every single resort on its own private island. 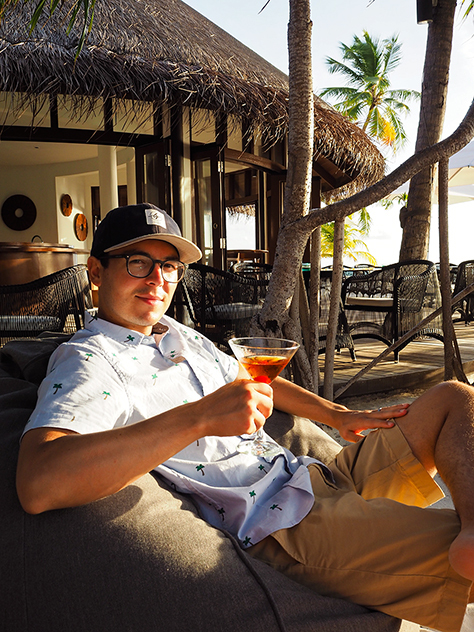 Upon arrival, we were quickly introduced to the “no shoes, no news” policy: a concept that meant not only that we would be wearing no shoes for the week, but also reflected that the island was a place to relax, unplug, and leave the rest of the world behind. And we did just that! We put our phones away and left our shoes behind, enjoying every moment and being for once, somewhat mindful. 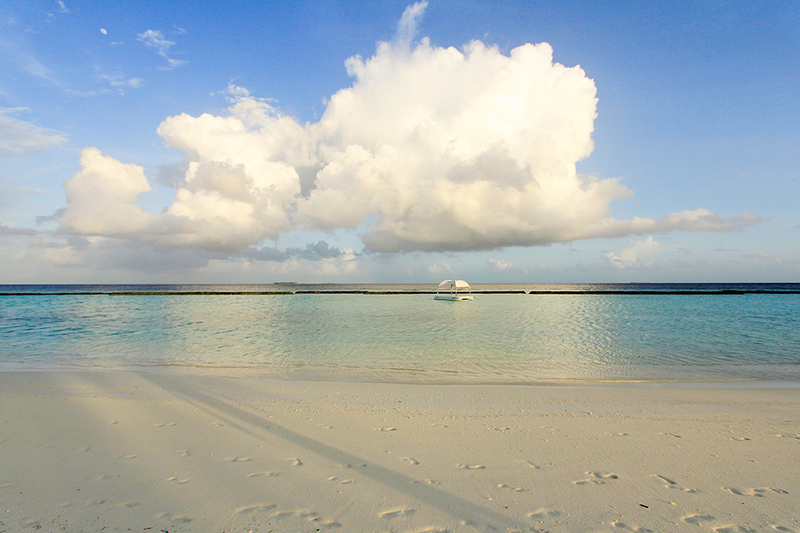 And our island of Halaveli truly felt like paradise: the sand was like icing sugar, the water aqua blue and crystal clear, and the temperature never too hot nor too cold. 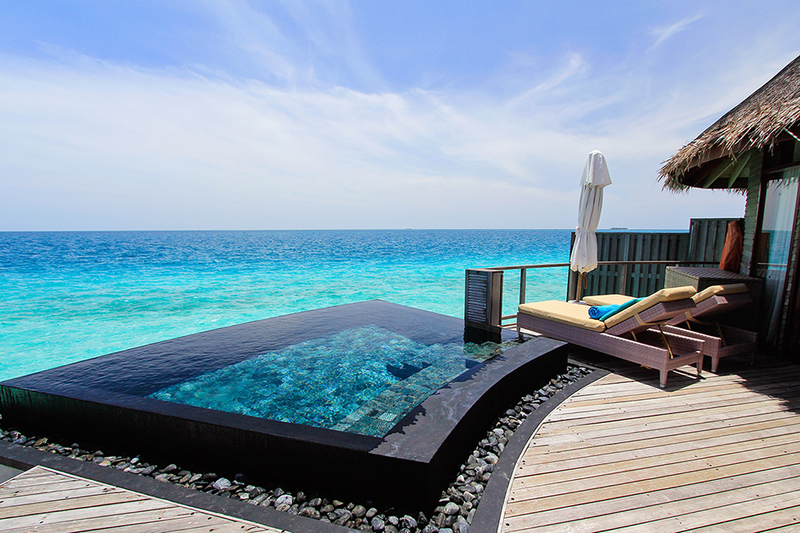 The Beach or Over Water? 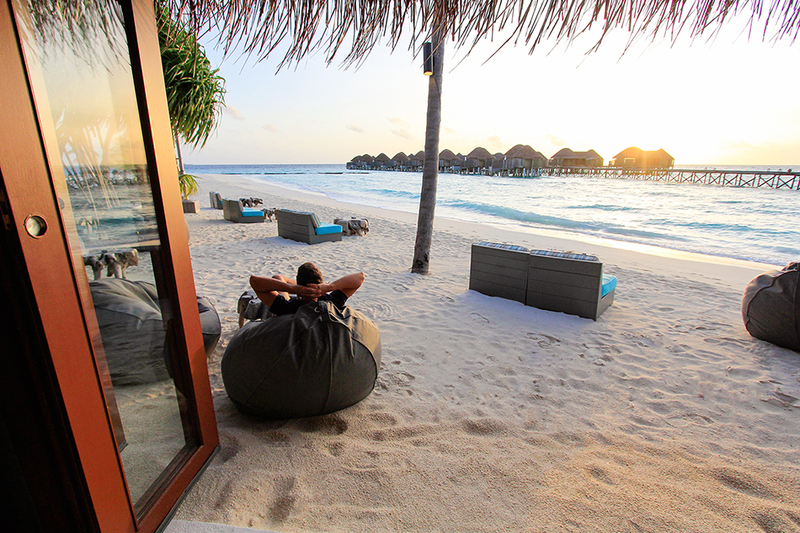 Much of the Maldivian resorts are not your traditional hotel or resort. 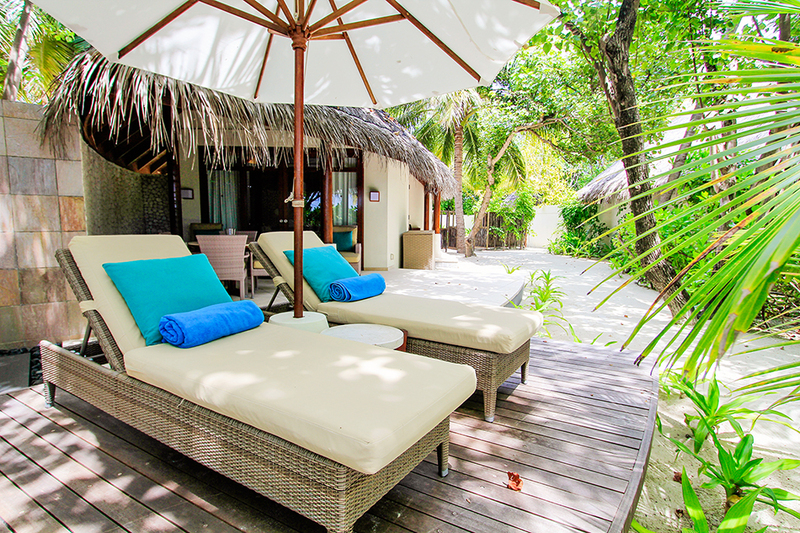 Here the only option for accommodation is to stay in a private villa, with your choice of one on the beach or over the water. We couldn’t decide between them, so we figured we would try out both! 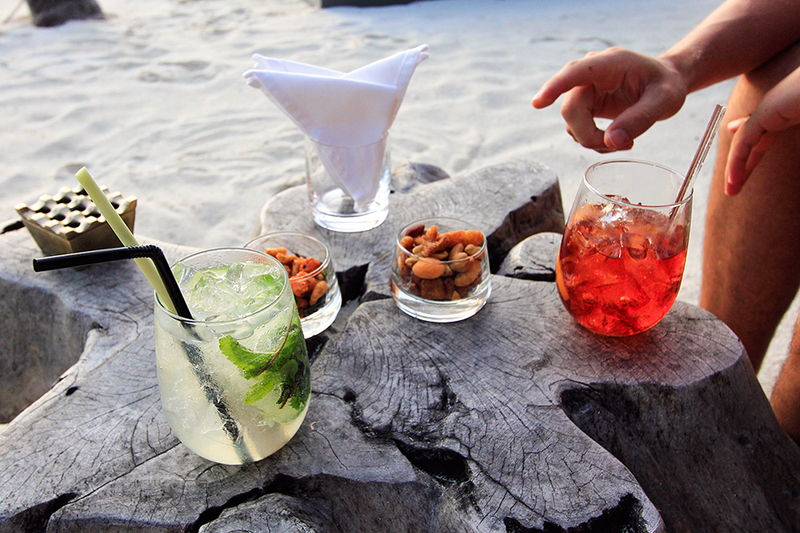 Which we would highly recommend to those of you who are also first-timers. The first half we spent on the beach. Our house was tucked back into the trees, with an outdoor bathtub and shower, and our own private little pool in the back. 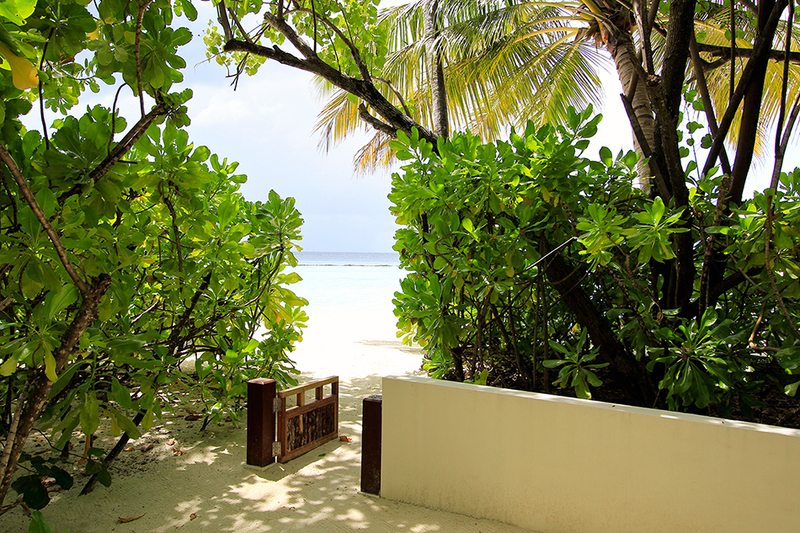 When we stepped out of our yard we were on our own section of beach, with not another person in sight. It was perfect! 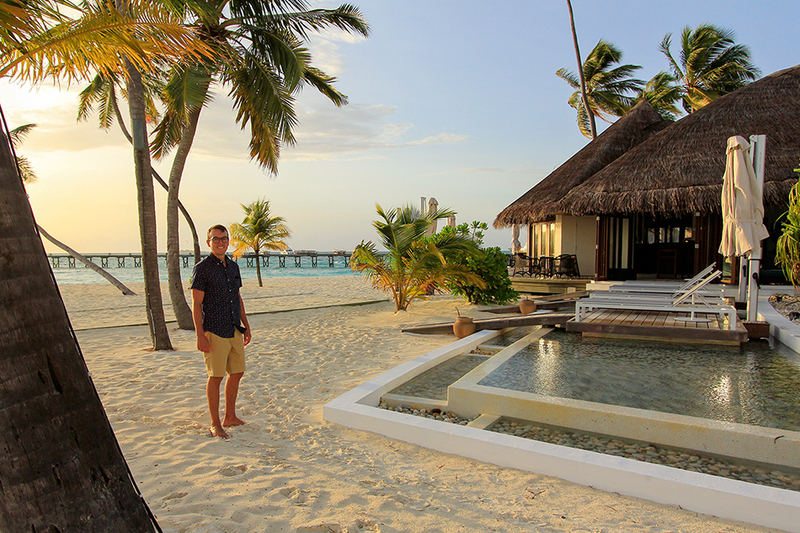 On the second half of our trip we moved into an over-water bungalow. We were excited to try one of these out, as they are often only in the most remote places of the world. These houses are built out along a “jetti” – a walkway extending from mainland. 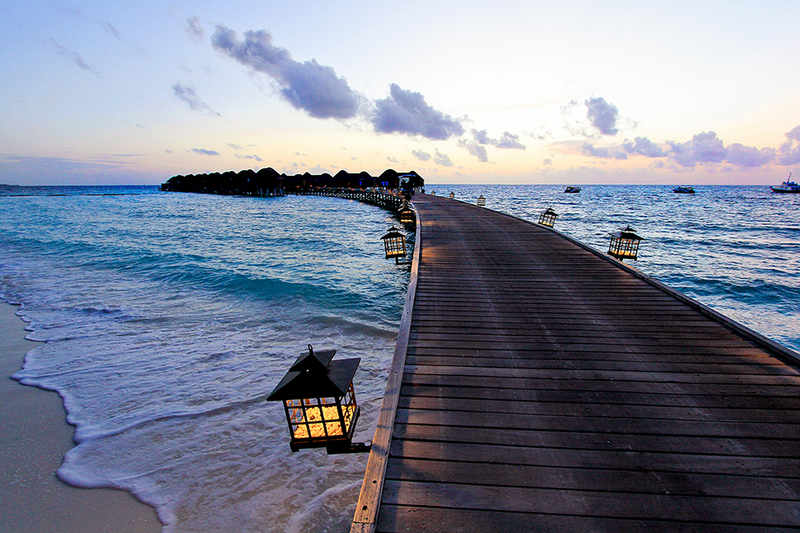 Halaveli happens to have the longest jetti in all of the Maldives. 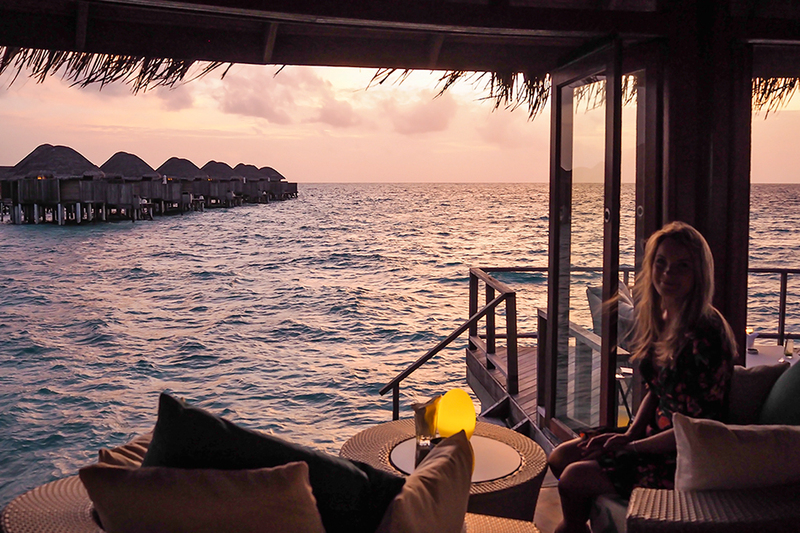 Staying in an over-water villa felt almost like we were on a boat, out in the ocean with the sound of the waves under us each night. 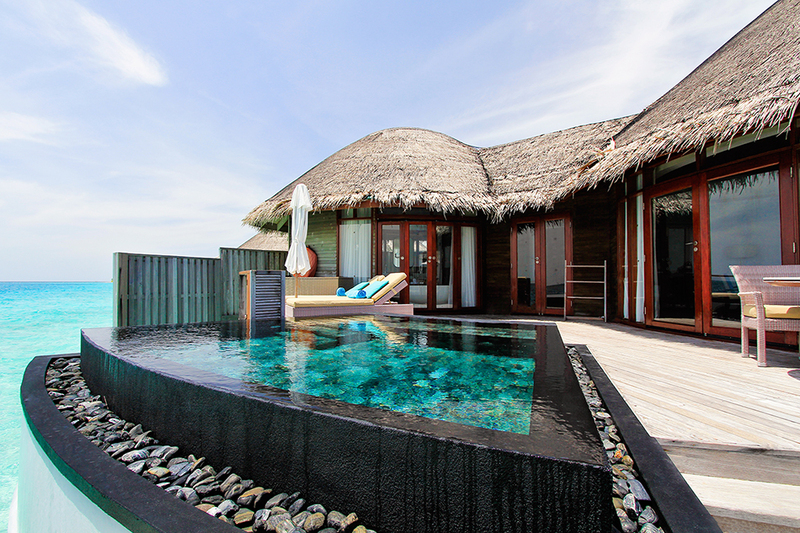 The bungalow had an infinity pool looking out into the endless ocean, and our own staircase right into the water. Strapping on our snorkelling gear, we could hop right off our deck into the water anytime we wanted. 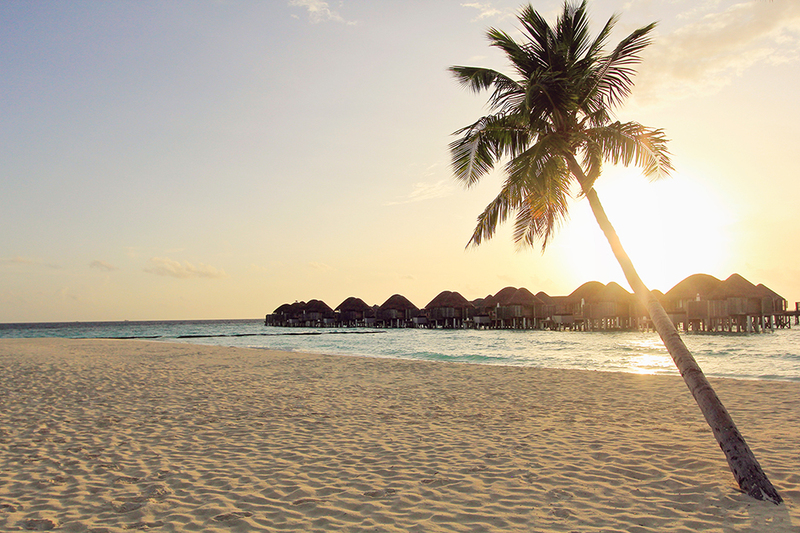 After this paradise, I don’t know if we can stay anywhere else! 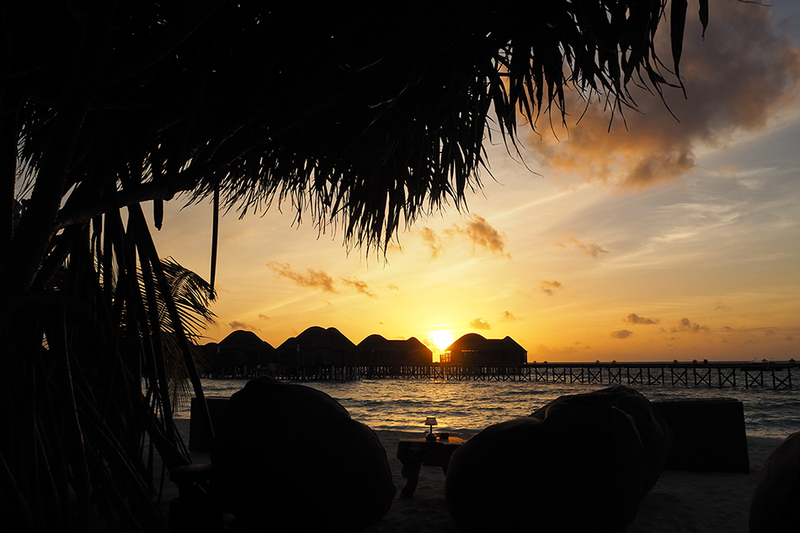 Since the Maldives are composed of coral islands, the reef is outstanding and the lush underwater world brings people from all over the globe for diving and snorkelling. 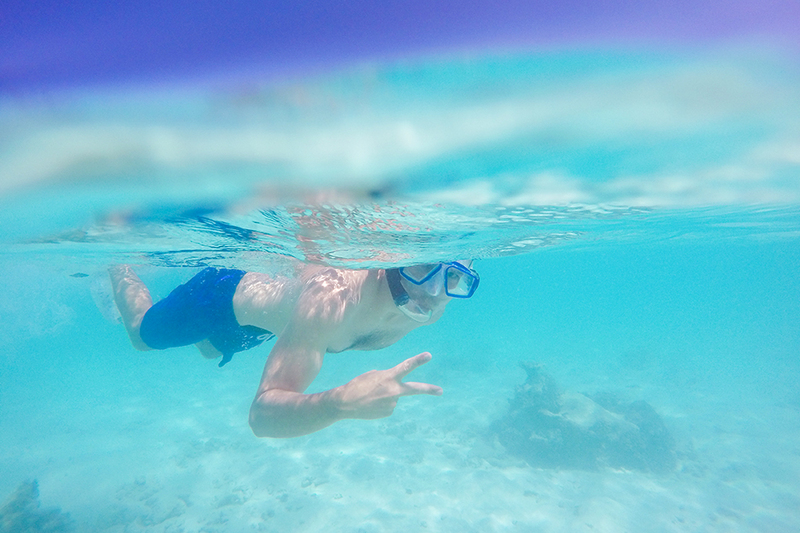 With the clarity of the water, it is easy to appreciate colorful schools of fish, reef sharks, and stingrays. 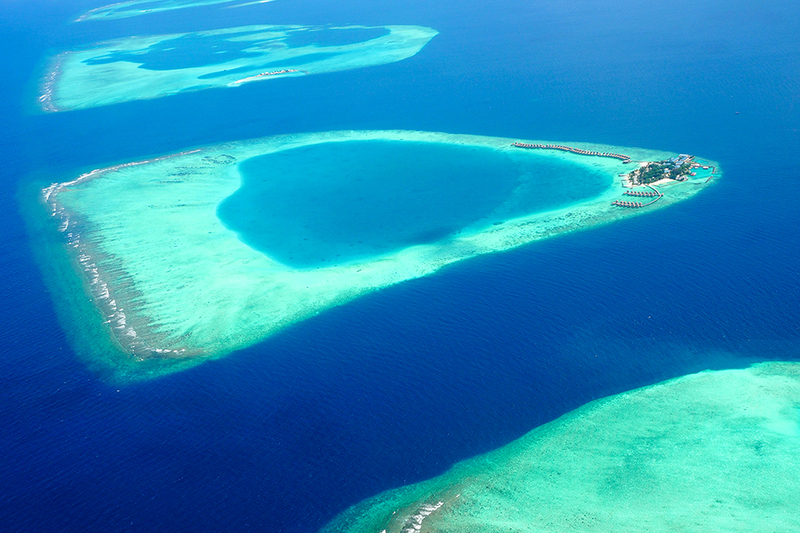 What lurks even deeper is more amazing, and the Maldives is popular for those hoping to see manta rays, turtles, and even the world’s largest fish: the whale shark. 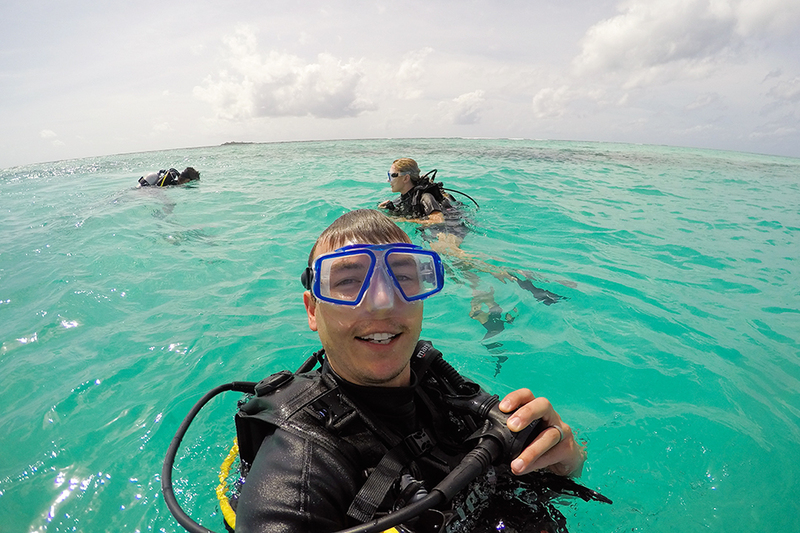 Some of you may remember WAY back when we were in Thailand and had our first diving experience obtaining our PADI SCUBA certification. Unfortunately, we have never had a great opportunity to go diving since. 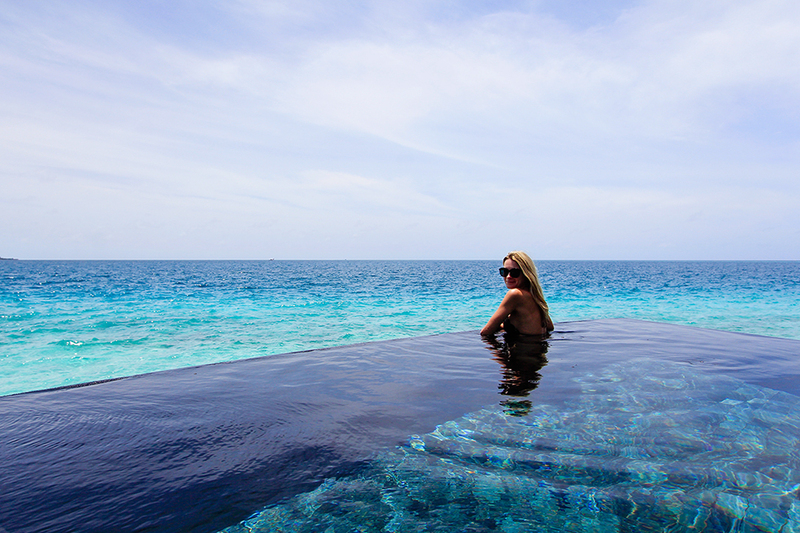 The Maldives seemed like the perfect excuse to get back in the water. After a quick refresher in the pool, we went out to sea with our Italian guide and got to explore the colorful underwater world once again. We were both surprised at how quickly it came back and how natural it felt even after all those years. Out on your own quiet little island, with the natural world all around you, you are bound to see some animals! 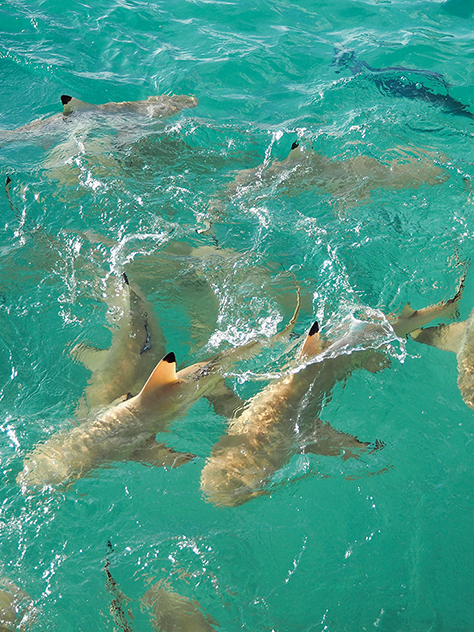 One of the most common fish we saw were the reef sharks. They like the shallow waters of the shore, where they can easily find crustaceans and tiny fish to eat. They are seldom a threat to humans, unless there is other food around. Which would have been nice to know the first time Sandra went swimming in the ocean and returned in a panic after seeing a shark fin in the water right in front of her. More abundant than reef sharks are crabs. 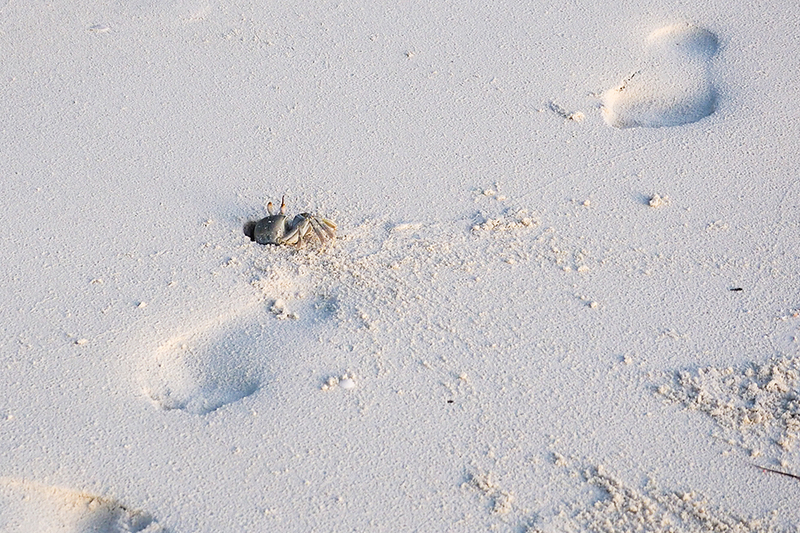 “Ghost” crabs, named this way due to their near-transparent white coloring, are scattered along the shores of the beach. Though nocturnal, you can see a few of the tiny ones running around in the day, periodically taking a dip in the ocean. More entertaining to observe were the hermit crabs – crabs which make a home out of an abandoned snail shell. They are easily startled by humans, but move so slowly under the weight of their shell that I can’t imagine them ever escaping from a predator in time. 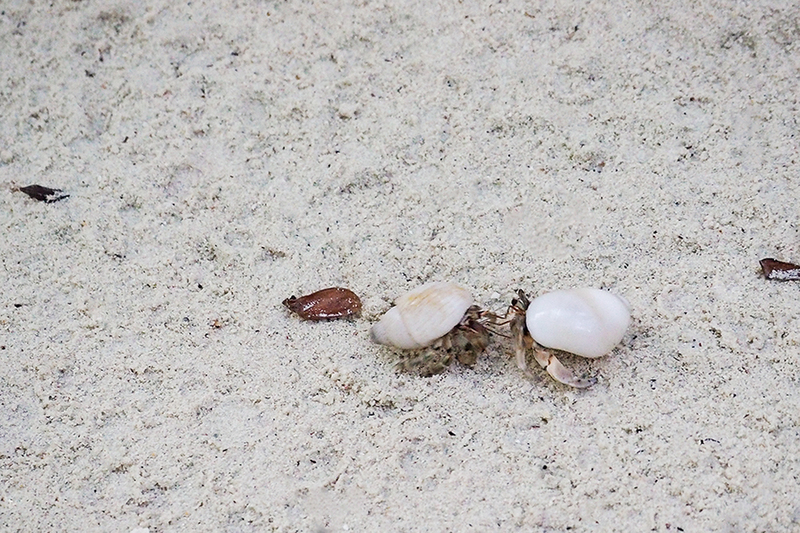 The best part is that when a group of hermit crabs find a new empty shell, they line up in order of biggest to smallest. The biggest hermit crab upgrades to this newly found empty shell, and then consecutively each crab moves into the shell of the previous crab. Eventually they all end up with a new, roomier home. Rather clever! 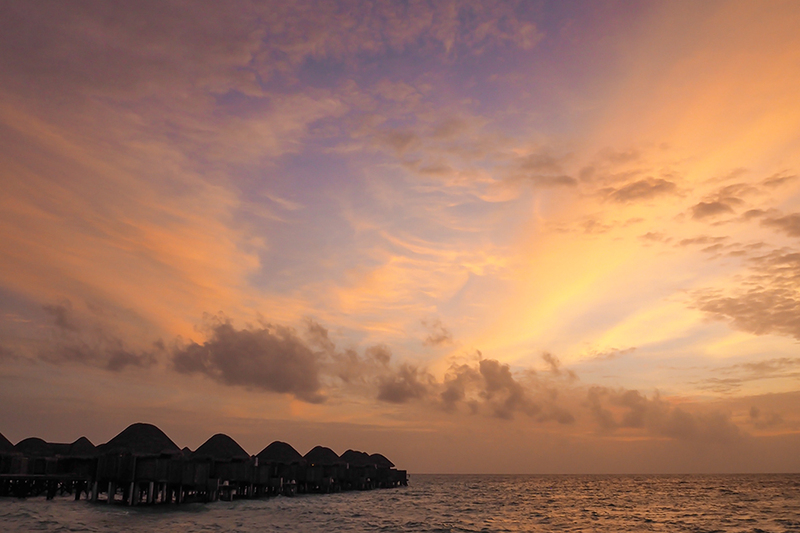 I don’t know if we have ever been to a place with more consistently beautiful, vibrant and colorful sunsets. Every night seemed to outdo the last. 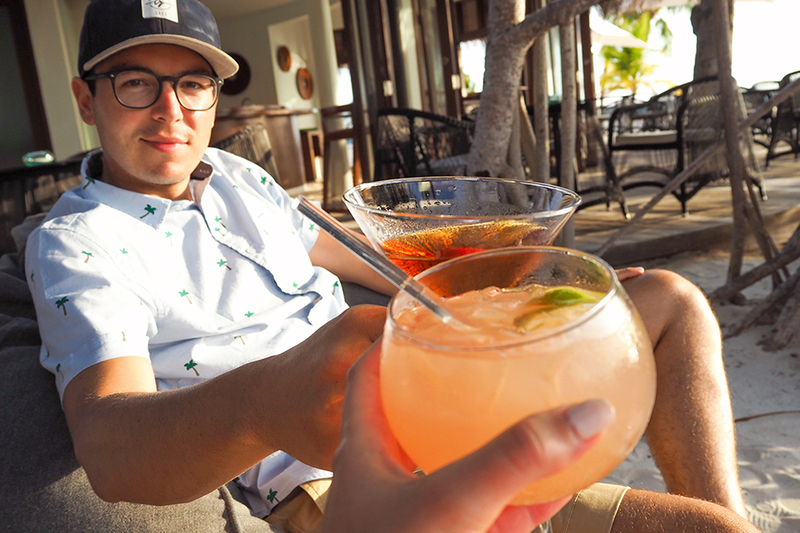 We quickly got into the routine of going out for a cocktail before dinner just to watch the nightly sunset. Which wasn’t a hard task. 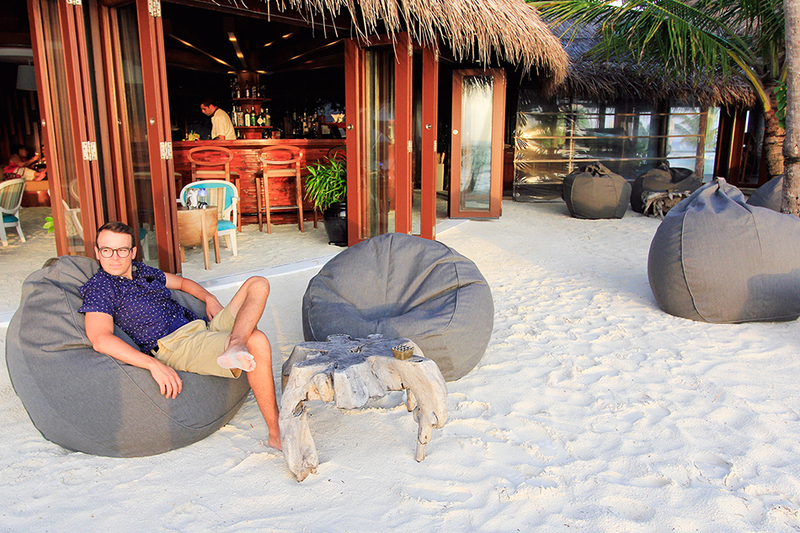 We sat on bean bag chairs on the beach, sans shoes, and with deliciously created cocktails by the island’s talented bartender. 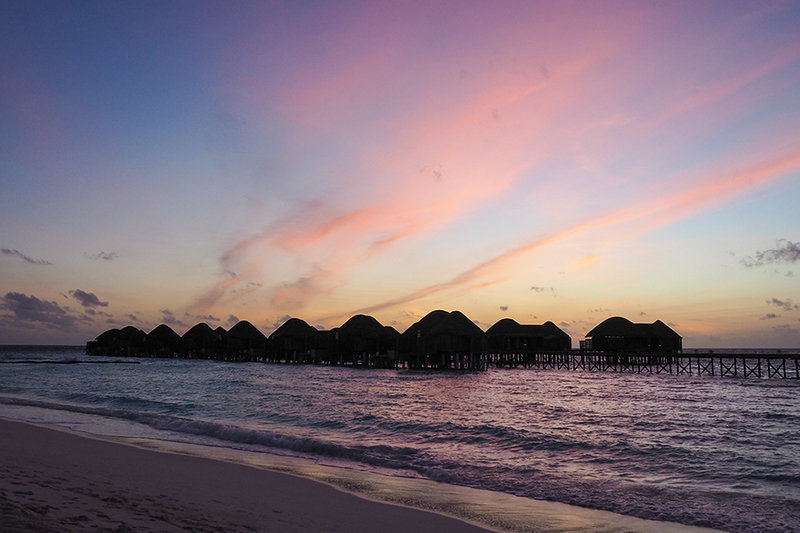 If the Maldives are close to you, or if you’re willing to take the trip out there, we more than recommend a visit. 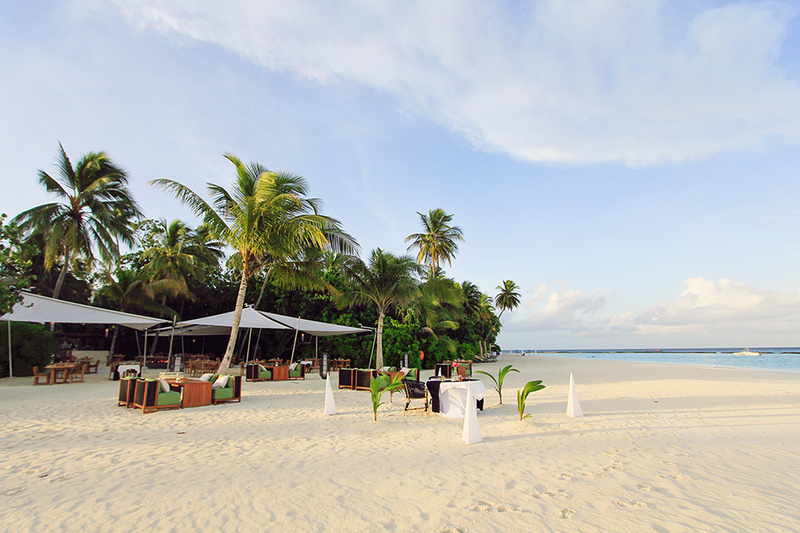 This was by far the best beach destination we have been to, and a perfect location for a honeymoon or couple’s trip away. We already can’t wait to go back! 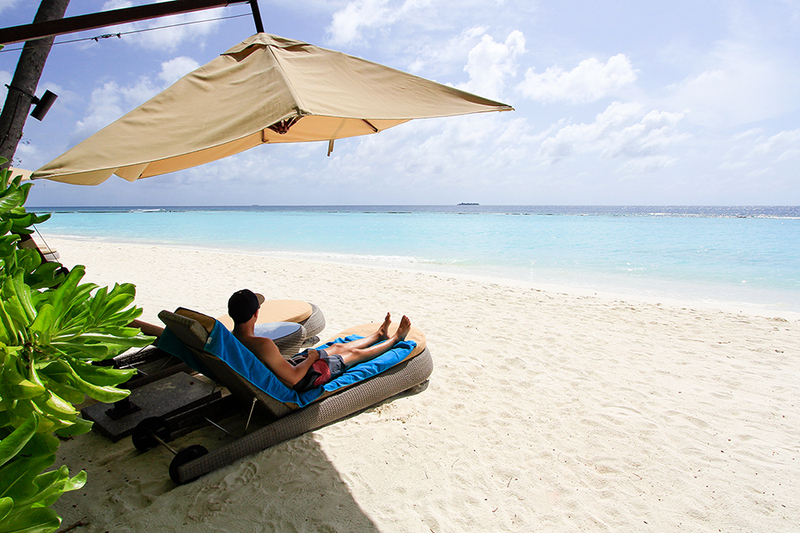 There are numerous amazing resort options in the Maldives. 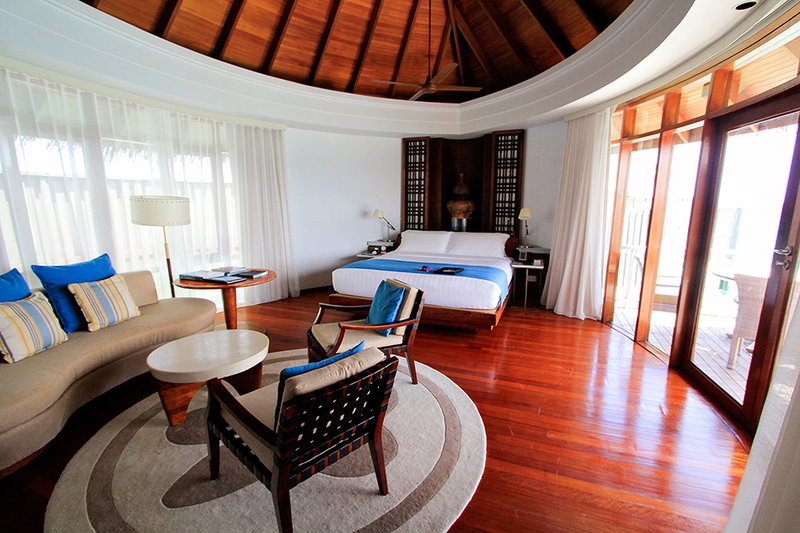 We chose Constance Halaveli, with a link here for more information. 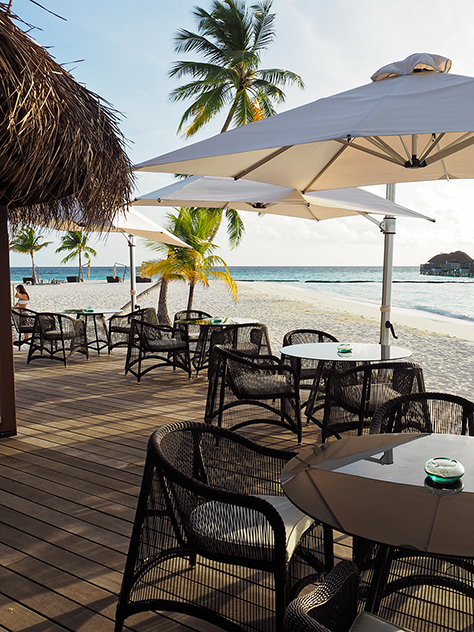 We chose the resort for a number of reasons, including the privacy, great reviews, the fact that it’s centered over it’s own coral reef (for great snorkelling and fish watching), and for its Honeymoon Package. 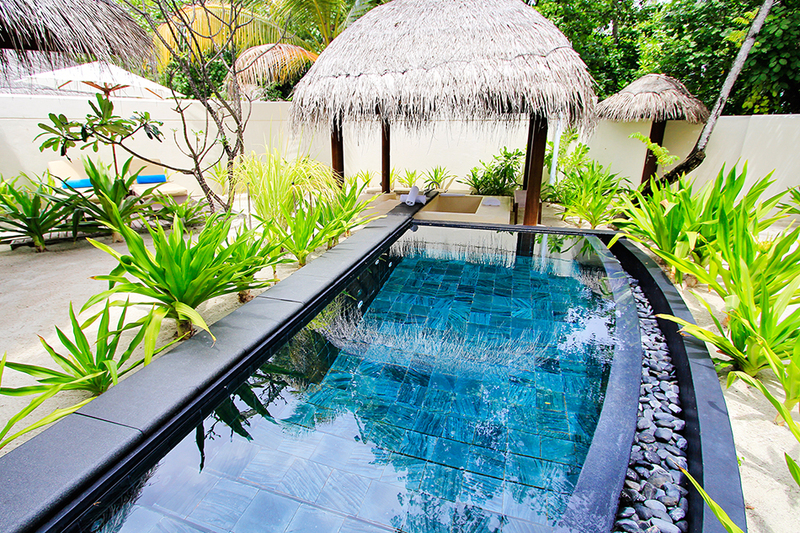 The Honeymoon Package gave a substantial discount on the room cost, as well as a daily credit to use on food, beverage & spa which allowed us to enjoy a few of the resort’s extra amenities. 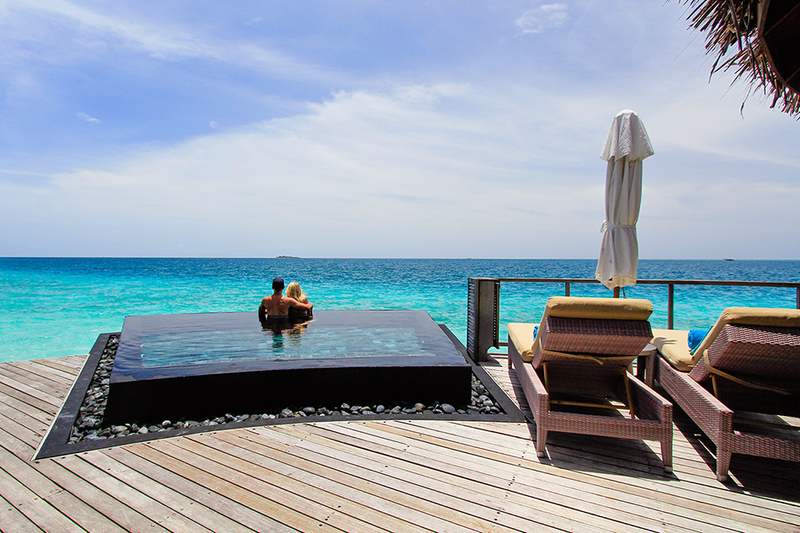 A perfect honeymoon for a perfect couple! Thank you for making it feel like we are right there with you. Very happy to hear about your fabulous experiences.